An office has contacted me because they have branded USB drives @ $4 each which they use for giveaways but at conferences people will sometimes grab them by the fistful, and presumably not so they can promote this office themselves. They want to keep a section of the USB drive read-only and unerasable/non-formattable with their promo content on it. They don't want to lock down the device in totality because then no one will use them. In the future they can instruct their source in China to make this happen from the factory, but what of the 4,000 they already have? This also sounds handy because if you can make this happen you can put AV or anti-malware on a device too and not get any garbage on it. This is a very big process. What you will need to end up with is a flash drive that upon insertion comes up with two drives: a read-only, unformattable CDROM drive and a read/write flash drive. It is a lot of work and may or may not be worth doing. I spent more than a few hours figuring this out and then the office I was working for decided not to take the time to duplicate them. You will need tools for this. The first tool is called ChipGenius. It will give you two very important details, the VID and PID. Vendor ID and Product ID. 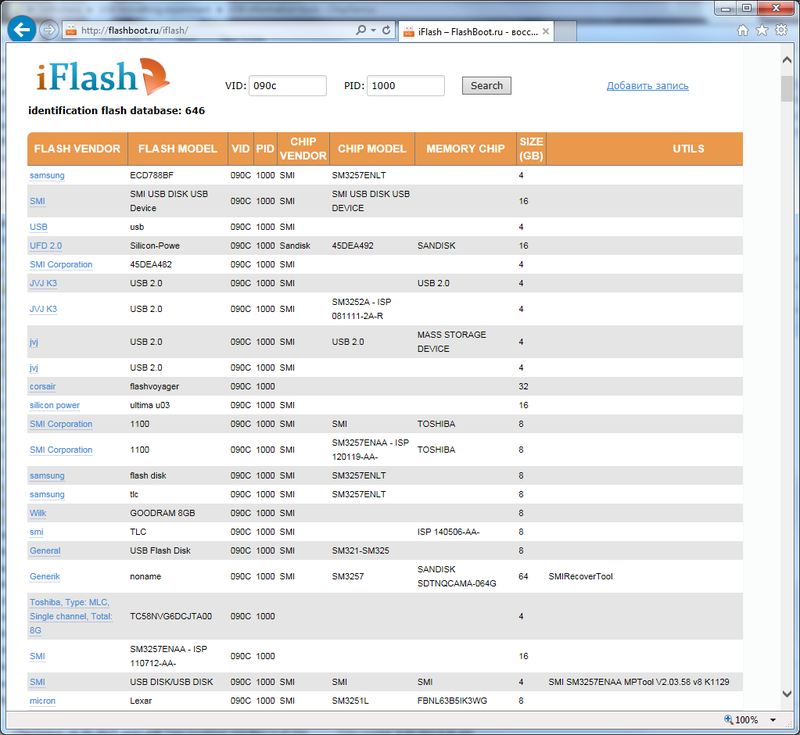 Take those two fields to http://flashboot.ru/iflash/ and enter them in there. Next, look at the UTILS column. 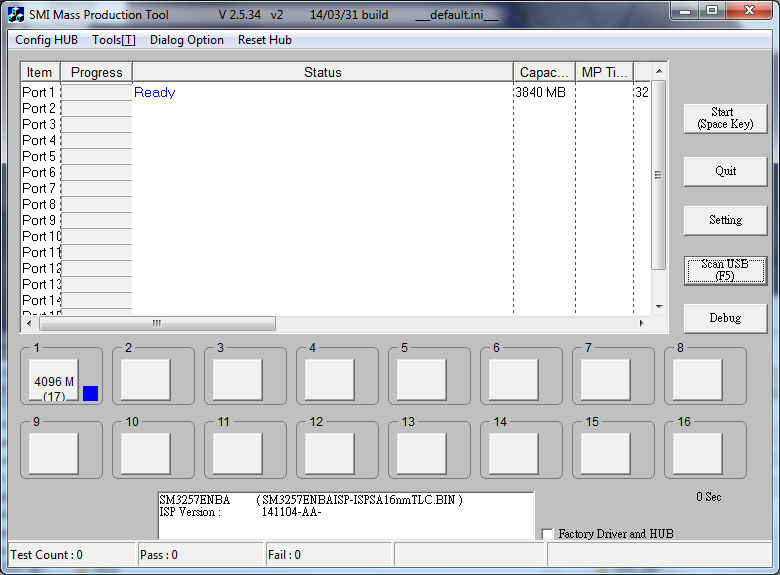 This is the name of the Mass Production tool that the manufacturers use to format the chip in your flash drive. This part requires some finesse. The field IC Version tells me I’m looking for the MPTool for SM3257ENBA (not sure why it’s BA instead of LT like ChipGenius above was saying) and Tester Version tells me that it was modified with V 2.5.38. As it just so happens, that version of the tool was not available anywhere online. Not even a fairly new version SM3257ENBA_N0920 worked. 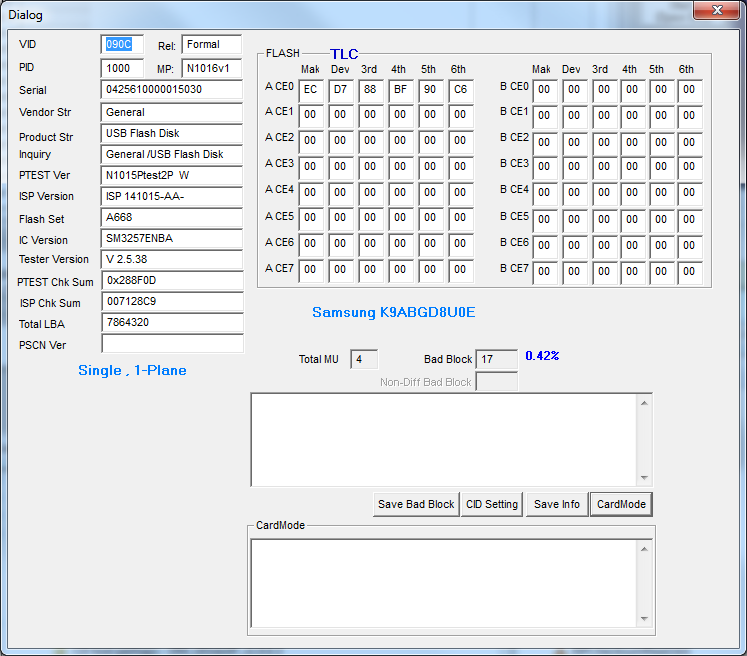 However, I ended up lucking out with sm32Xtest_V2.5.34_v2_N0331, though that seems like an older version, right? Now that you have the right program, it’s time to go into Settings. There will be a password for this option and for the debug option and the site you downloaded it from should provide them. For SMI MPTools the passwords happen to be 320 and 1111, respectively. For this particular tool, make the settings look like this. You can do what you want with the vendor and product fields. What you’re really looking for is to put an ISO in the Make Auto Run field and then you also have the option to make it ONLY a CDROM. The Multi-lun Setting tab will let you adjust the CDROM partition size too. The other option you might be looking for is Disk Type. Instead of USB-ZIP (removable USB stick) you can change it to USB-HDD. This means that the USB drive will show up as a regular hard disk drive along with your C: drive and THAT means that you can partition it, unlike a “removable” drive as USB sticks normally are. NOTE: not all flash drives are as difficult as this was. Yours might be, so if I were you I wouldn’t start this process unless you have many of these to do it on to make the learning process worthwhile. 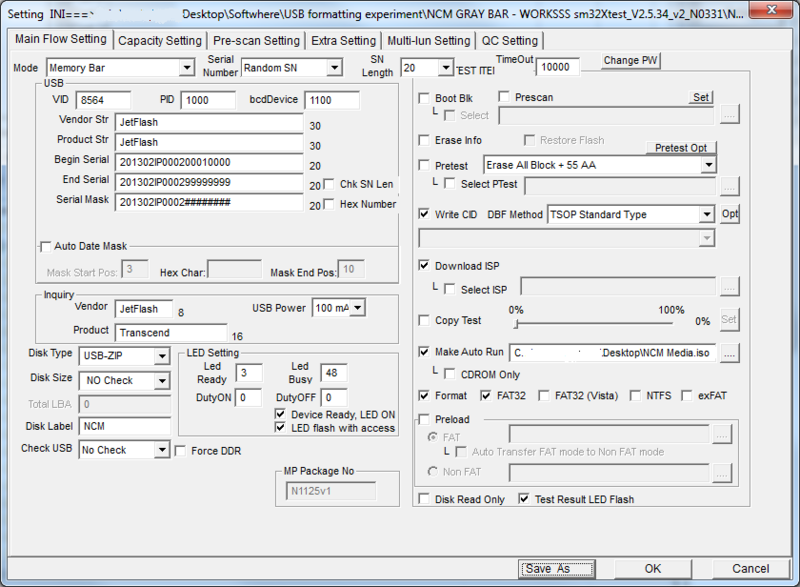 Also, a standard USB duplicator will not copy this read-only partition; they will have to be made from the computer that is setup to do this. The program is able to do 16 at a time but then the program had to be restarted each time. It was ultimately not worth it for us, but don't let my time spent investigating be done in vain! Not the answer you're looking for? 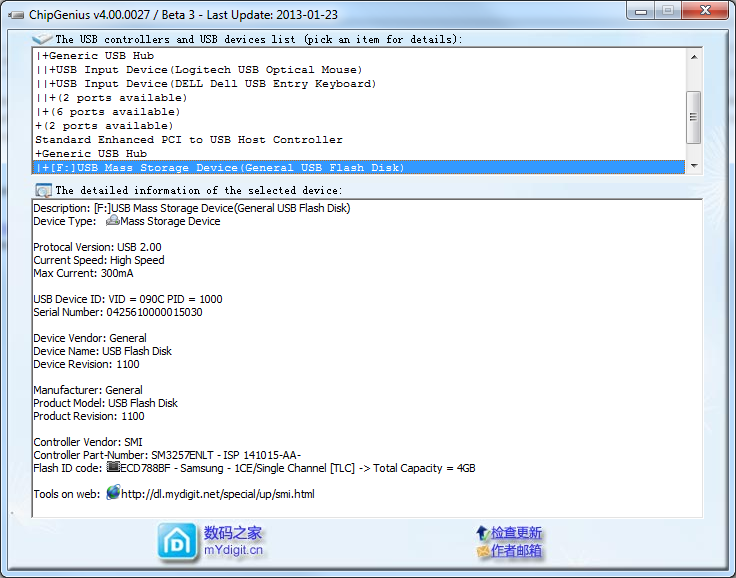 Browse other questions tagged usb partitioning usb-flash-drive formatting read-only or ask your own question. How to make one partition of a multiple partition usb flash drive bootable? How to protect file on USB from being copied? How does USB-C affect USB's distinction between “host” and “peripheral”? How do I make my dead USB usable?